I love how this sections ties H.P. Lovecraft's Cthulhu mythos, and the man himself, into the plot of Illuminatus! There's also a nice nod to the American counterculture in the form of Hermann Hesse. I read Hesse in high school in the 1970s, although unforunately I have not read him since then. And it's a rather nice serendipity that I am writing this entry in October, the season of Halloween, which has become a major holiday and a time when writers such as Lovecraft come into their own. I like to read at least one horror book each Halloween season, and I've just bought The Cthulhu Mythos Megapack, 40 stories written by Lovecraft and by other writers who also used Lovecraft's Cthulhu Mythos; by another serendipity, the lead story in the collection is Lovecraft's "At the Mountains of Madness," which Illuminatus! credits as mentioning the Law of Fives (page 331). "As for these powers or being from Thule, they do not exist in the sense that bricks and beefsteak exist, either. The physicist, by manipulating these fantastic electrons — which, I remind you, have to be imagined as moving from one place to another without passing through any intervening space like a fairy or a ghost — produces real phenomena, visible to the senses. Say, then, that by manipulating these beings or powers from Thule, certain men are able to produce effects that can also be seen and experienced." (Pages 328-329). And of course on Page 333, the Illuminati protect Drake — some Lovecraftian Cthulhu creature associated with the Illuminati get rid of four Mafia "soldiers" attempting to trail Drake. For more on Lovecraft and the connections to Nazis in German, please see this blog post. I don't know why Hermann Hesse is not identified explicitly in the text, but I'm pretty certain of my identification — Hesse won the Nobel prize for literature, lived in Switzerland, and knew Carl Jung. Hesse detested the Nazis and they felt the same way about him -- his work was banned in Germany. All of this matches what we are told about the "famous novelist" who is talking to Francis Putney Drake in this section. The "Shunned House" at 135 Benefit Street in Providence, Rhode Island. Dutch Schultz died on Oct. 24, 1935, and H.P. 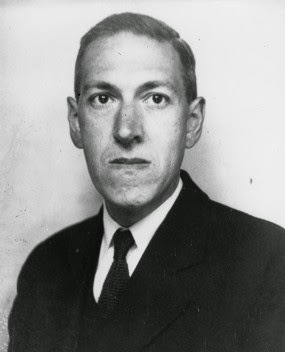 Lovecraft died on March 17, 1937 (from cancer, but of course Illuminatus! says that's what They want you to believe.) So the encounter between Drake and Lovecraft has to occur in the latter part of that time range, after Drake has returned from Europe and his conversations with Hesse but before Lovecraft's death. The Bogus Magus timeline places the encounter as sometime in 1936, which would fit. I am also not contradicted by the Illuminatus! 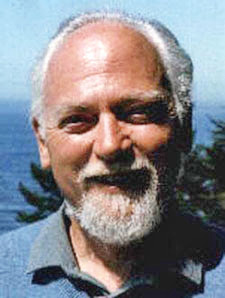 timeline in Eric Wagner's An Insider's Guide to Robert Anton Wilson. Shiner: Were you a Lovecraft fan before you got into Illuminatus? RAW: I was a Lovecraft fan since I was about 12. I think it was when I was 12 I heard "The Dunwich Horror" with Ronald Coleman as the narrator. It impressed the hell out of me. I started looking for Lovecraft and I couldn't find any Lovecraft books, but I found a few short stories by him in anthologies. Then when I was 14 I found a whole book of Lovecraft, edited by August Derleth. So Lovecraft has been a passion with me most of my life. 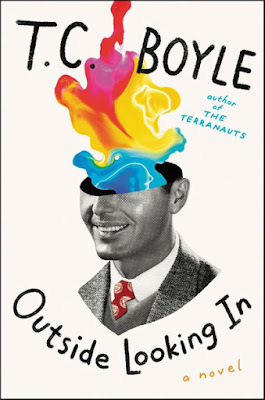 I like the way he uses techniques that make you think, "Gee, maybe this isn't fiction." That fascinates me, because doubt lasts longer than faith and provokes thought rather than discouraging it. Here are five places that helped inspire Lovecraft. 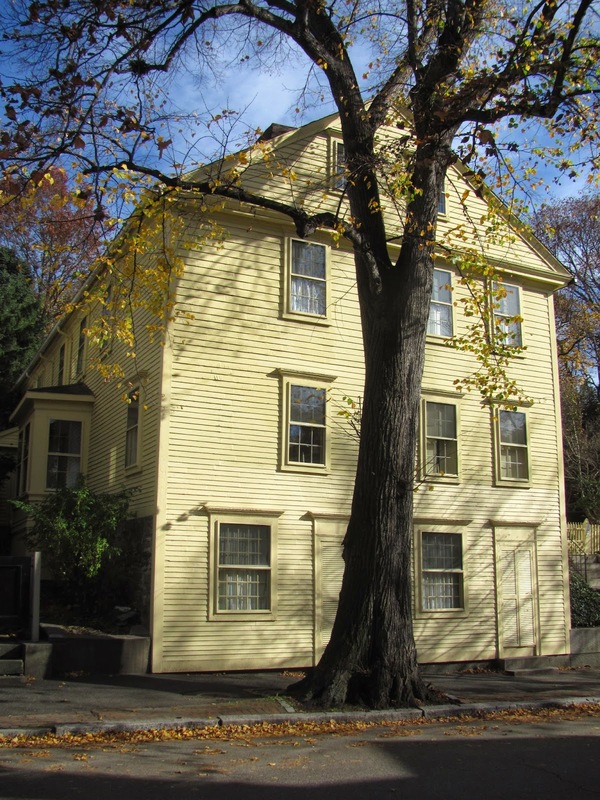 And here is a virtual walking tour of Lovecraft's Providence. For a free complete works of Lovecraft in various ebook formats, go here. To explore Lovecraft from the perspective of a Robert Anton Wilson fan, see Dan Clore's Weird Words: A Lovecraftian Lexicon. LibriVox has some early works in audiobook form. Labels: H.P. Lovecraft, Illuminatus group discussion, Illuminatus! I would guess that the Boston Irish suspect is Joseph Kennedy. By the way, Arthur, happy birthday. I like the references to Artaud and Joyce on page 325. Bob also talks about Artaud in Cosmic Trigger. I love the scene with Lovecraft. I visited Providence in 1988 and visited the Shunned House, Lovecraft's grave, and a number of other Lovecraft sites. I enjoyed Phil Hine's book on Lovecraft. I'll take a guess as to why Hesse's name isn't identified. In the Tales to the Tribe course RAW introduced the idea of presence by absence - where someone is conspicuously not in the story but is actually a central element of the plot. Someone used Joyce's story "The Dead" as an example, if memory serves. So maybe it's something akin or related to that idea? All or most of the character's names seem chosen for some kind of significance. I believe they left the name out to obscure the significance of Hesse's name - "to bury the dog deeper" as RAW quotes Gurdjieff in CTI. They also printed everything from Liber Oz verbatim, but left out the title. I view that as a similarly intentional omission. To me this gives the book a lot of depth. Lovecraft and his mythos seems appropriate in this section. I like how his fiction is considered real in their fiction. For a brief period at the end of 1992 - 1993 I edited a small publication called the Evolutionary Rag. It started out as a few page desktop publishing then expanded to a small newspaper size when I moved to California and had two print runs. I solicited RAW for a piece for the first bigger issue and he sent something very short, postcard size, but steeped in Lovecraft references. I believe it was sent from Miskatonic U. for example. I'll have to dig it up. On Hesse not being mentioned by name: another possibility is that, when this was written, Hesse was extremely popular on university campuses, partly for his writings and partly for his anti-war stance. P. 327: "my most famous work,..." : probably Steppenwolf. But see the Wikipedia article on the novel's initial negative reception. P. 328: The Yeats quote is from "The Second Coming" . I've wondered who the author could be, before. Hesse seems to fit alot of criteria, there is something in the book elsewhere that made me think it might be someone else though. Here is a list of Nobel Prize winning laureates including which country they are from. Pg. 324 - I love Bingo being part of the secret teachings. Pg. 325 - "You are diving, but she is sinking" I think this may be a "real" quote a friend mentioned it to me recently when talking about Joyce's daughter and a mental hospital in England. as Jung put it to Joyce, trying to convince him that his daughter was in grave danger, and ... And Jung answered, "Yes, Jimmie, but you dive to the bottom of the river. She is sinking.". Pg. 328 - The "miracles of Mons" interest me.